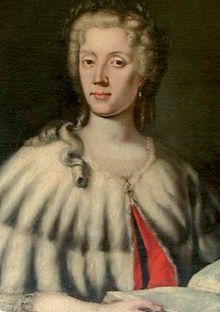 If ever there were an interesting story to be told, it would probably be that of Laura Bassi, an Italian woman in the early 1700s who became the second woman ever to receive a university degree and the first to be offered an official teaching position at any university in Europe. She was also a wife, and mother to twelve children, five of whom survived. Paula Findlen, who has written about Laura’s work, will tell some of her story at an upcoming lecture on the BYU campus. Dr. Findlen will deliver a presentation titled: “The Scientist and the Saint: Laura Bassi’s Enlightened Catholicism and Galileo’s Legacy” on Thursday, October 5, at 11 a.m. in B190 JFSB. Students, faculty, and members of the general public are invited to this event, conducted as part of our History department’s annual De Lamar Jensen lecture. Dr. Findlen hails from Stanford University. “I have taught the early history of science and medicine for many years,” she says, “on the premise that one of the most important ways to understand how science, medicine and technology have become so central to contemporary society comes from examining the process by which scientific knowledge emerged. More generally, I am profoundly attracted to individuals in the past who aspired to know everything. It still seems like a worthy goal.” She is the author of three books, including Gusto for Things, in which she creatively uses account books, inventories, wills, and other records to examine early modern attitudes toward possessions, asking what people did with their things, why they wrote about them, and how they passed objects on to their heirs. The De Lamar Jensen lecture seeks to help students understand global history. The lecture is named after Dr. De Lamar Jensen, a former faculty member in the Department of History, who was an expert on early modern Europe. Dr. Jensen began teaching at BYU in 1957, served as chair of the History Department and dean of the Honors Program, and in 1979 received a Guggenheim fellowship. He retired in 1992, but found another passion: painting murals in his backyard, which allows the nonagenarian to continue “traveling” to places he visited as a professor.